2pc. Rhinestone Design Knit Mermaid Skirt Suit With Sweetheart Neckline. Two piece knit skirt suit with bold stripe, bell sleeves and zipper closure. Jacket: 23" Skirt: 28"
Two piece knit skirt suit in houndstooth pattern, black rhinestone embellished, zipper closure jacket and flare skirt. Jacket: 24 3/4" Skirt: 34 1/4"
Two piece knit skirt suit in window pane pattern, rhinestone trim and zipper closure. Two piece knit skirt suit in geometric print with cascading black rhinestones, zipper closure and rhinestone charm. 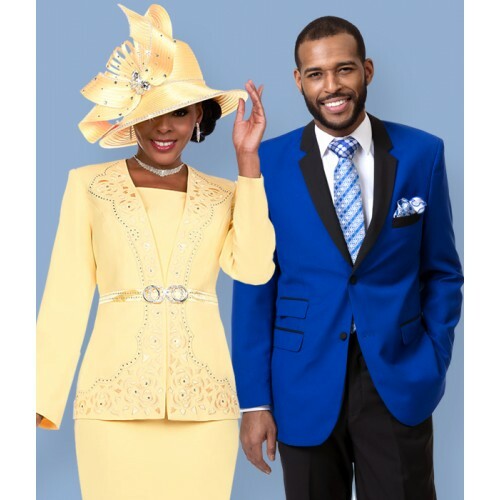 Jacket: 26 1/2" Skirt: 29"
Two piece knit skirt suit with cascading rhinestones, flounce sleeve and zipper closure. Jacket: 24 1/4" Skirt: 33 1/4"
Two piece knit skirt suit in two-tone pattern, bell sleeves, cascading rhinestones and zipper closure. 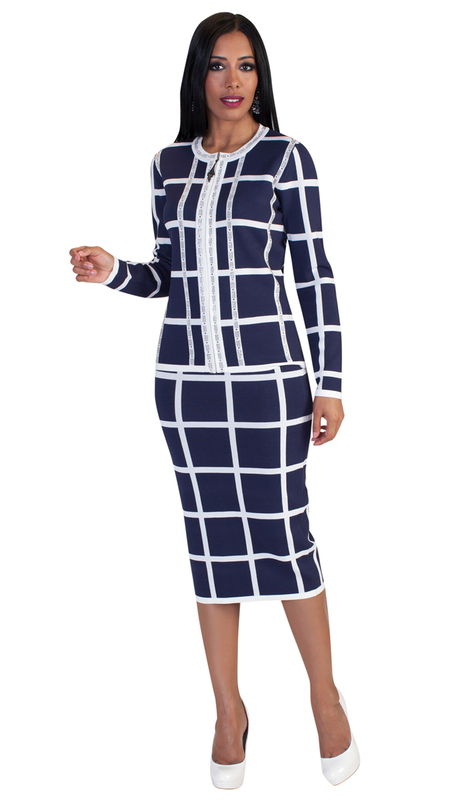 Jacket: 23 1/4" Skirt: 28 5/8"
Two piece knit dress, long sleeve with jacket in geometric stripe pattern. Jacket: 34 5/8" Dress: 43"
Two piece dress knit in metallic colors with tank dress under. Two piece knit set with striped long cardigan and metallic tank dress. Two piece knit set in unique knit patterns with flared sleeve and skirt. Two piece dress knit set with beautiful rhinestone details. Two piece knit dress set in black and white dotted print with flared 3/4 sleeve. 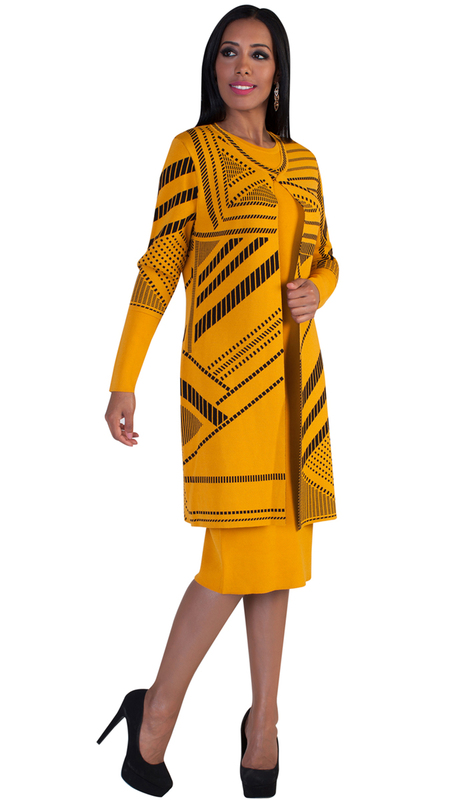 Two piece knit suit in geometric prints with flare sleeve duff detail.